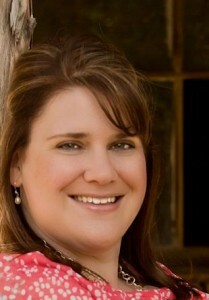 Dear friends, I would love to introduce Karen Baney to you! She is my special guest for today. She has some great insight for authors. I hope you are as blessed as I am by her wisdom, insight, and encouragement, ~Erin. 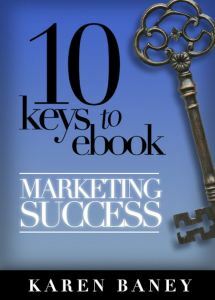 10 Keys to eBook Marketing Success, is now available on Amazon. Some of you understand the title of this post immediately. Others, it is taking you a few seconds to fully understand. Let me help. In computer programming, we use the “!=” to mean “does not equal”. So the title really reads “sales does not equal self-worth”. Oh, do you realize how true this is! If you’re an author like me (or anyone in a sales position), you may find yourself falling it to the pit of despair whenever you look at your sales. Only one book sold this week. Secretly that little voice in the back of your head is convincing you that this means you are not worth anything. I know. I understand. It happens to me. Even after 200,000 downloads in 2012. Every time I release a new title, the fear of rejection grips me. Will anyone like this new book? Will they understand the message within its digital pages? Will they—dare I hope—buy it and validate all of the time, effort, and energy I expended? Can I finally be satisfied that I am worth something? Dear author, you are already worth something. You are precious to Jesus just the way you are. He gave you this wonderful talent to be able to express so much through words on the screen. He loves you deeply and unconditionally. Take a moment to let that truth sink in. The next time you pull up your sales report, or wait for one from your publisher, remember this: Your worth != the number of books you’ve sold. The truth is that no matter how much you market and how many things you do right; you can never force a single sale. Marketing is simply using techniques to get the word out about your book. It’s up to the reader to buy it. Another truth: some great books go unnoticed and some really poor books sell well. The number of books sold is just that. It’s a business metric, not a sign of your value or even the quality of your writing. It’s time to take a new view of your sales figures. Separate the emotion from the business metric. Don’t fall into the temptation to gauge your worth or your writing by how many or how few books are purchased. Connect with Karen on Twitter, Facebook, and Google+.